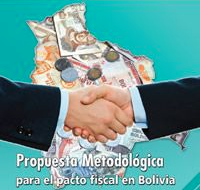 ← What are exactly the thirteen points in the Bolivia-Chile agenda? One of the many obstacles that the Government has been putting to define the distribution of national income (excluding IDH) has been previously known was the result of the Census, as provided for the [Constitution] CPE. Upon a number of difficulties about which is the country’s population and its distribution by department and in the presence of claims of some departments (Santa Cruz as the most), as well as opponents and analysts finally the Executive Branch summoned the National Autonomy Council. The Council, however, will only reach a consensus -if it makes it- and defining what will happen to the Legislature. Even the MAS spokespersons have proposed that each department seek their own income in a kind of suggestion, to do so using the power granted to the departments and municipalities to enact their own laws. Was it implicitly proposing new taxes to be created? Will it be recharged over the minority that is the one who pays taxes, while the rest does not contribute to the support of the state? The Governor of Santa Cruz argues that centralized national income to attend the National Government in excess of 80% grade is equitably shared by 50% between the government and the departments (these globally considered ie municipalities, universities, indigenous communities, etc.). Of course detail can and should be properly tuned. The reluctance and long delayed response that the national authorities have been giving and their parties in the Legislative Assembly, does not hide the intention to book the lion’s share in the centralism as it has been happening and restrict as much as possible the review of national financial income. This plan can not rule out disruption of opportunity and that the majority that counts the Government in the National Council of Autonomous find a way to postpone once again a fair and constructive agreement. For some departments such as La Paz, mechanisms for resource allocation will remain unfair and discriminatory as a new rational allocation of the Direct Tax on Hydrocarbons, which may be no other than to take into account population size. The floor is with the lawmakers of the department. The best argument here is the reality of a decade lost under the ruling ochlocracy of the coca grower caudillo. Over $150 billion dollars wasted in superfluous luxuries [planes, helicopters, armored vehicles, harley bikes, new palace] for current president’s leisure. High levels of corruption at governmental entities, mismanaged and shortfall of most of the state-owned companies and ramping anarchy with narcotrafficking country-wide. This entry was posted in Bolivia, Business, Economics, Energy, Environment, Health, Mining, Politics, Social Unrest, Tourism and tagged bad politics, demagogue, economic policy, macroeconomics, Ochlocracy, public policy failures. Bookmark the permalink.